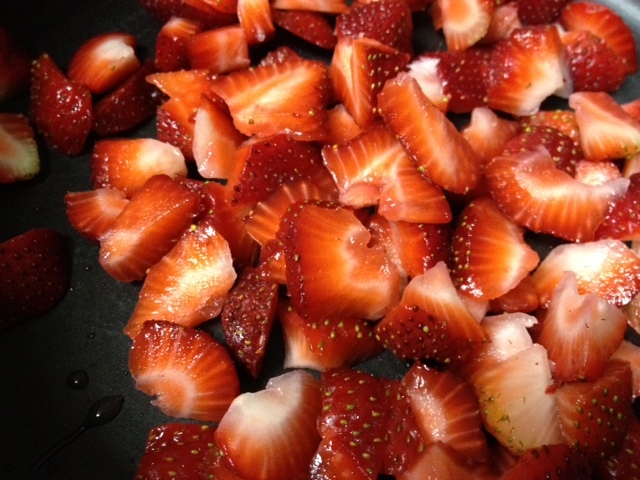 But once again I bought strawberries last weekend and didn’t get around to eating them, just was too busy all week. They weren’t really great for eating by themselves by this weekend, so I tried to figure out what to do with them. I’ve gotten into a really bad habit lately of throwing out produce because I let it go bad, and man does that get expensive! I also had an audience the entire time. 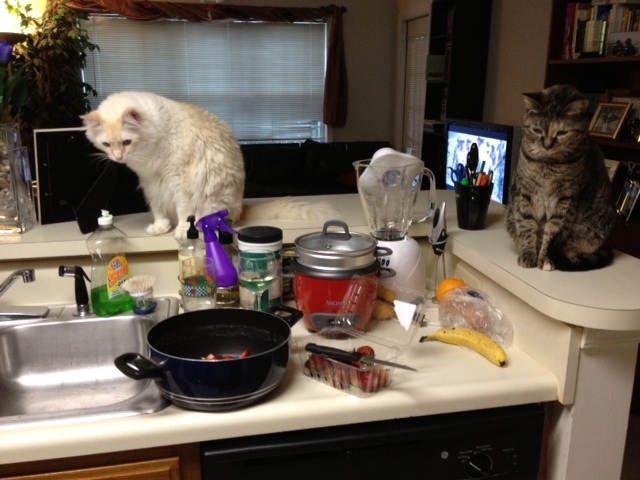 They were fascinated. 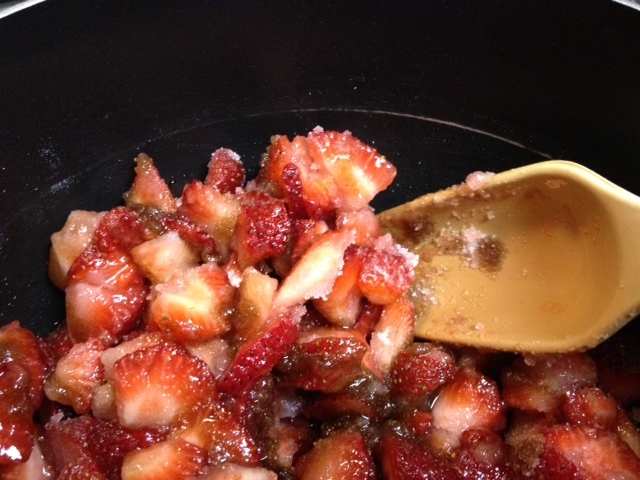 So I did some quick Googling and found a recipe for strawberry jam that only involves three ingredients, and no pectin. SOLD! Original source is from SavorySweetLife.com. 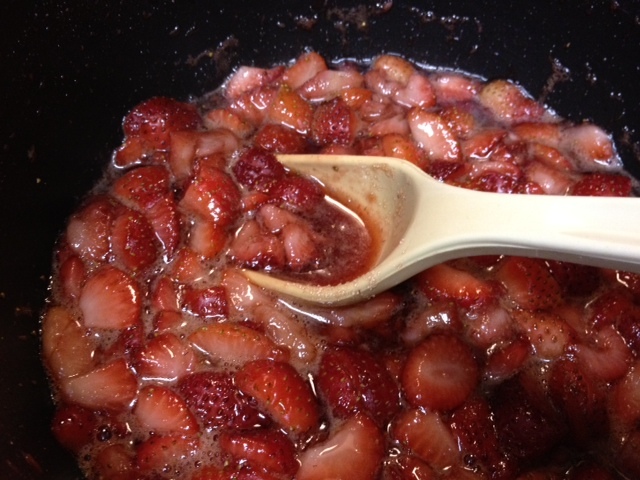 The balsamic vinegar is the key to the taste, though I couldn’t vouch for how it would be in a non-strawberry jam. 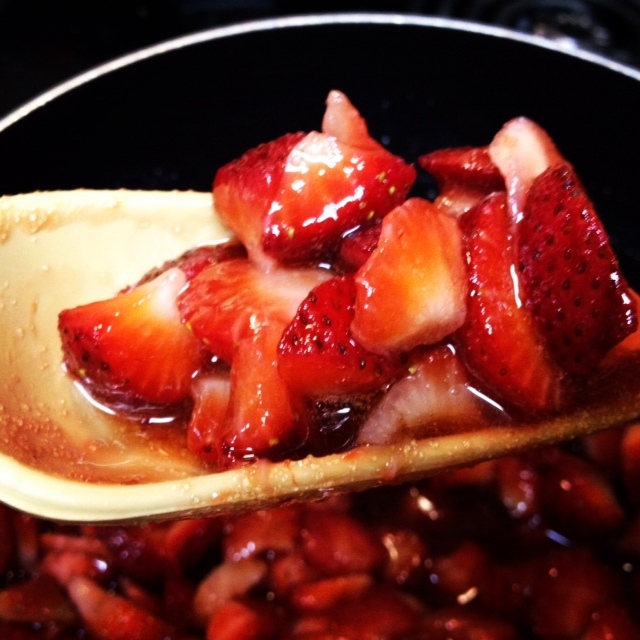 After you’ve washed and chopped the strawberries, put them in a pan with the sugar and balsamic vinegar, on medium heat. 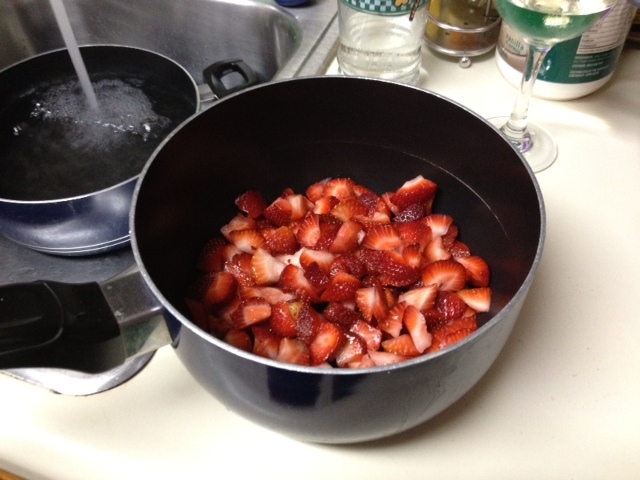 Stir everything together so strawberries are evenly coated. I was skeptical about the balsamic vinegar component, but it is definitely crucial to the recipe. Make sure to taste it and see if it’s the right sugar amount for you. 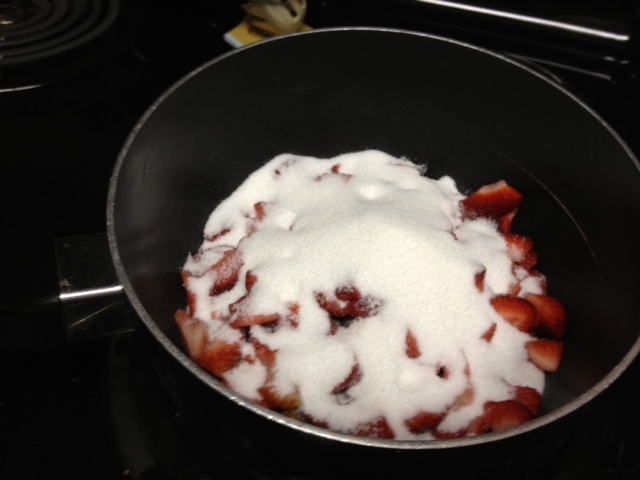 The sugar should completely absorb and some liquid will cook out of the strawberries. Side note—I was worried about liquid, since the recipe didn’t call for water; nothing to be concerned about, the liquid will just appear. Continue cooking for about 20 minutes, stirring occasionally. A good portion of the time, the mixture will be boiling. Make sure it doesn’t burn and stick to the bottom. Add a splash of lemon juice towards the end, if you feel like it. After about 20 minutes (more like 25 in my case), it should have reduced to the consistency of thick honey. Remove it from the burner and let it cool completely. Not sure mine got quite thick enough but it was starting to burn on the bottom and I didn’t want that. The whole thing took maybe 30-45 minutes from start to finish, and I wasn’t in a rush at all. Put in jars, then flip the jars upside down and let them cool. 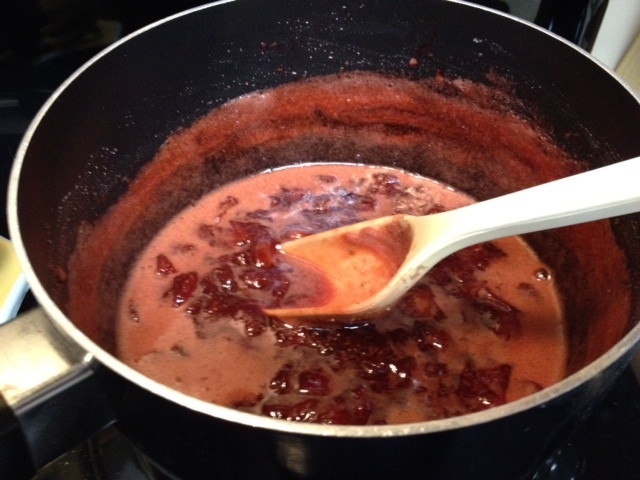 This is a European canning method, using the heat of the jam to seal the jars. I wouldn’t trust it as much as true hot water or pressure cooker canning, so I store mine in the fridge and try to use it within about 6 months. No idea if that’s necessary, but just keeps my mind at ease (particularly if you’re giving them away). Keep some, give some to friends, use it as an excuse to put five times the amount needed on a scone. So yay! 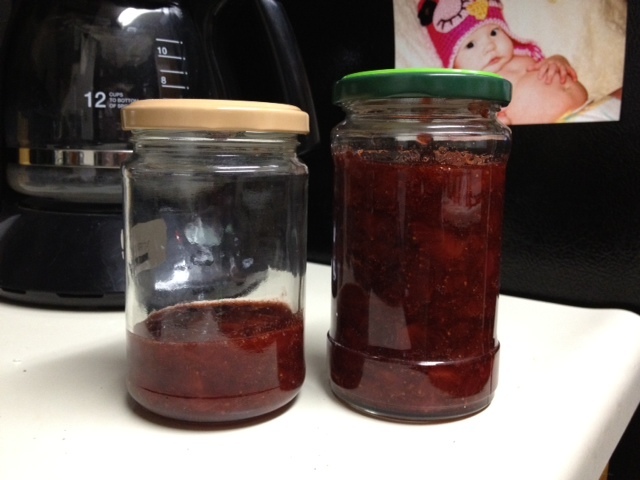 First time making jam on my own and it was a total breeze. Recipe was easy and pretty much dummy-proof. Balsamic vinegar added a nice tart touch. On to more complicated things! 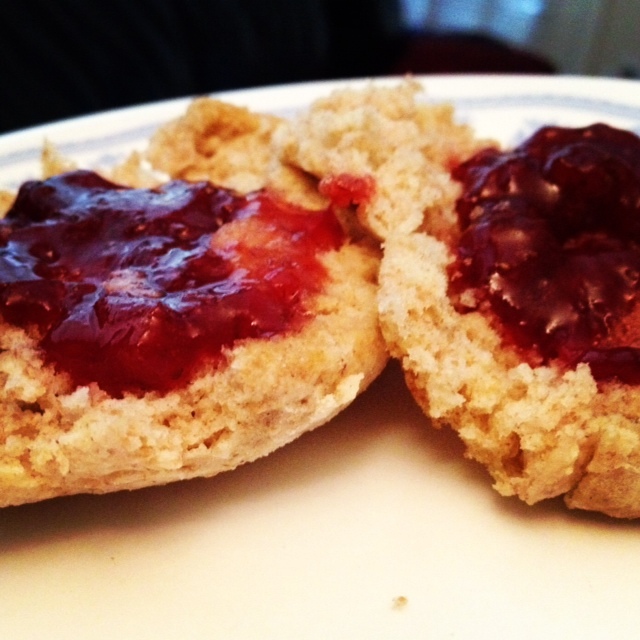 Made some scones this morning and used the jam for the first time—so good! Mine keeps for months in the freezer. Good to know! I was worried about how long it would last without canning, but hadn’t thought of freezing jam. Does it thaw okay, or is the texture weird? The texture is perfect. 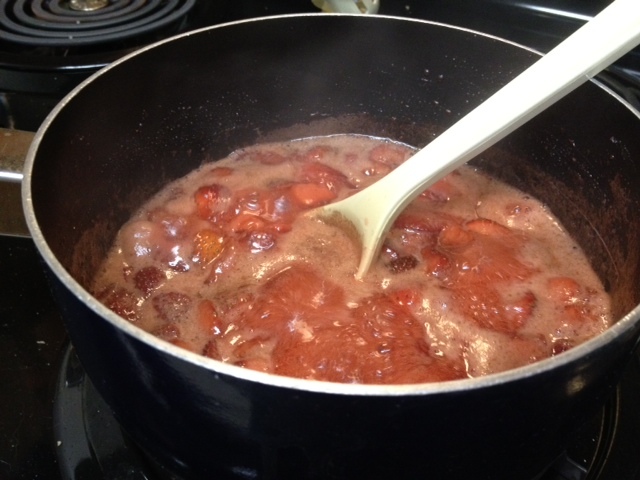 We make big batches of “freezer jam” with berries we pick in the fall. 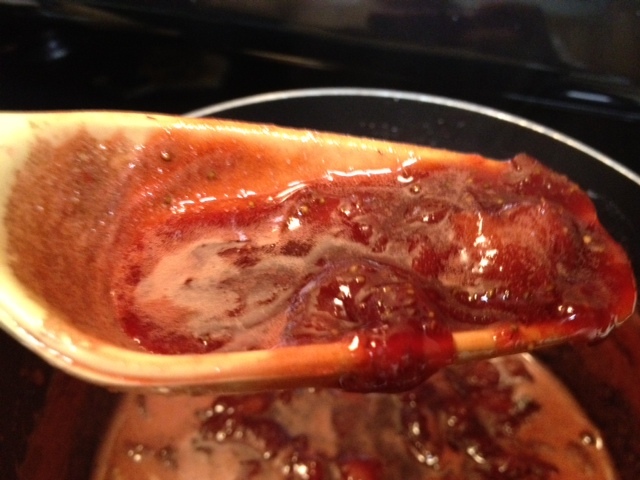 We are still eating the jam…it tastes like the day it was made.